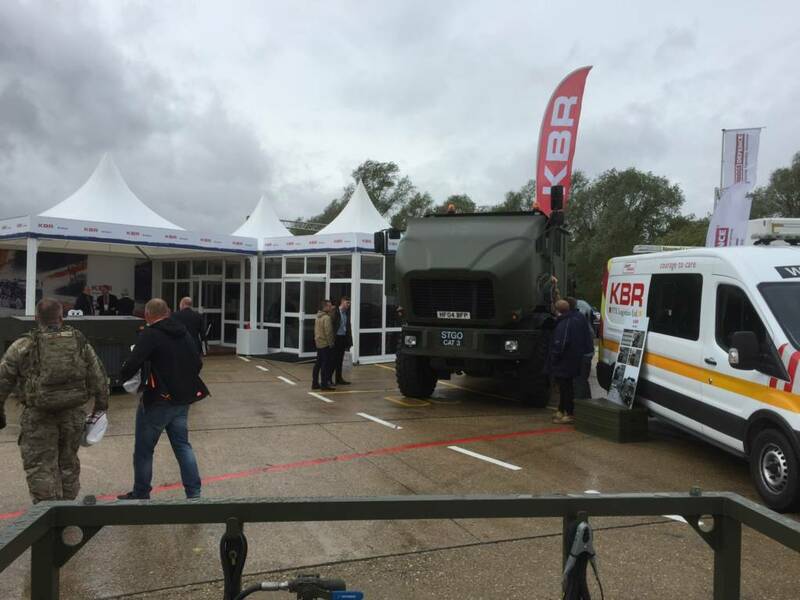 The DVD show (Defence Vehicle Dynamics) was held at the Millbrook Proving Ground on a windy Wednesday and Thursday. This event is held every two years and is for the defence industry to showcase equipment and technology used to support the UK land forces. FTX logistics was represented by Ian Bryant, HET 89 and two personnel ( Nev Shepherd and myself, Joe Rose). 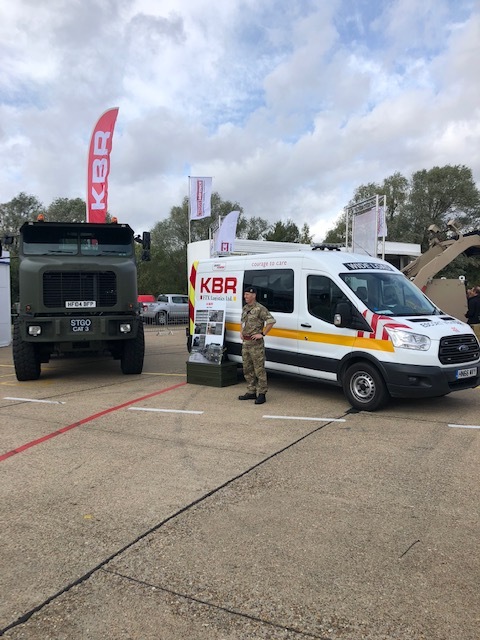 Our stand was part of the KBR stand and on arrival the HET was manoeuvred into place next to the KBR building. On the two days of the show the HET had a lot of attention, mainly due to the size of it! This HET has a significant history with it and a display board was made up to detail the fact it has deployed on TELIC and HERRICK, and on return was regenerated and returned to peacetime service. The wind was proving to become a bit of an issue and after one stand opposite got blown down completely, Nev decided to deploy the rubber bungees, to anchor down the information board. During the two days, visitors expressed great interest in the HET and the concept of Sponsored Reserves. It was an opportunity for FTX Logistics to gain publicity on what we do and how we go about business, both with regards to the military side and the civilian side. The most popular questions asked were “how much does it cost? “and “how fast does it go? “. It was a positive and interesting two days with fantastic hospitality from KBR.